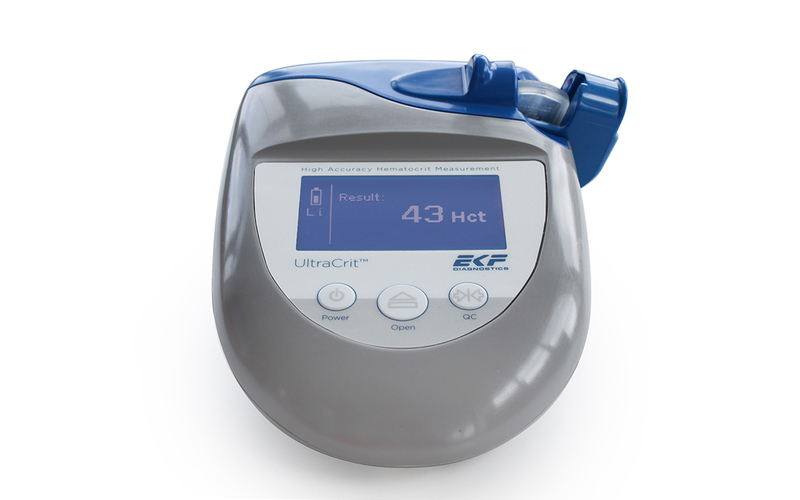 EKF Diagnostics UltraCrit™Hematocri device is a point-of-care hematocrit device delivering highly accurate measurements for blood donor screening. 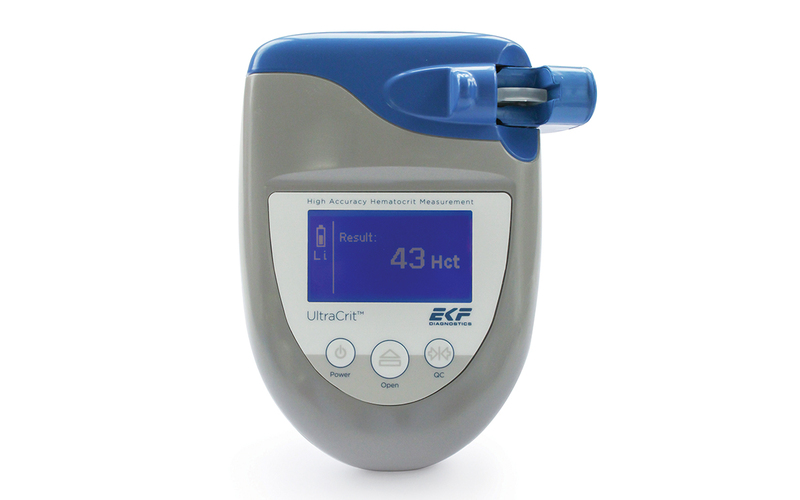 UltraCrit™Hematocrit Device is a unique technology, developed in the USA. It is the first and only hematocrit/hemoglobin device to use ultrasound methodology. Using the highly accurate ultrasound method means blood banks can be confident that they will minimize the number of false deferrals and false accepts. UltraCrit™Hematocrit Device cuvettes use a 40 μl blood sample which is then inserted into the device. Results are displayed within 30 seconds. Device, user manual, USB power module and USB cable. What is meant by 'reduced user subjectivity'? The device recognizes when a cuvette is not properly filled, resulting in an error message, not a false reading. What are the cuvette specifications? What controls does the UltraCrit™ use?